Have you ever been sending out emails to your subscribers and you haven’t getting any response, none any click so far? And you begin to think what is going wrong? Why there is no response? Well, we all open our emails and discovered a lot of messages line-up in our inbox only to instantly delete them, or ignore it, or mark as spam. The same reason some of the emails marketing campaign were all treated. This may simply be they are not effective and emotionally grabbing your audience attention, or probably the subject line do not invite your audience for a click or to open for an action. 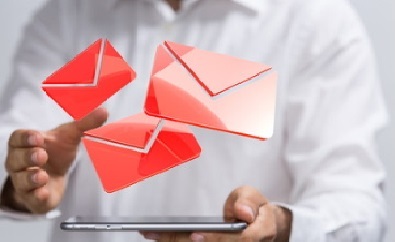 Creating an effective and appealing email is necessary for good campaign simply because it is an extremely powerful tool for getting messages directly across to your consumers. It can be channel that strengthens your relationship with your existing consumer. Those who used TV and radio marketing known for years that email marketing is very best way to get better result and they are still using same techniques in connecting to number of customers. The Marketer use emotional as a term to describe the process of building a brand that appeals in engaging the consumer to directly have connection that’s extremely to create trust and increase sales. In email marketing, it is how the customers feel about the product you promote that matters, the consumer may become loyal customers when they feel emotional connection with a product, which may likely lead them to buy such products and create more sales. If you sell online or offer a product and service that you want people to buy, it is also advantage to put yourself in shoes of your consumers and think back of the emotion involved that were important when you were making choice of building your brand. Building trust with audience in creating successful email marketing requires a hard work. In a nutshell, the question is how do we create an effective emotional email marketing campaign that gets result? 2. Use of Intriguing Subject line: Email with an eye-catching subject line that engage curiosity of the readers get audience connection and grasp the attention no matter how even if they don’t want to open. This will ensure people to open your email which is needed before they can be engage in whatever you offer. Any dull subject encourage instant delete. 3. Make Your Content Appealing: Email content that appealing emotionally gets consumer connection and engagement. Persuasive email content has to be effective and valuable to the customers, which will also help to build trust and drive sales. 4. Compelling and Distinctive Voice: An email campaign must be a content that is informative and educative once it is open to engage the readers’ interest. 5. Offer a visual anticipation: creating a compelling email content creates expectancy among readers which makes them eager to see what you have to say. This is the kind of powerful emotion that boost response rate you need. 6. Provide Conviction and Happiness: Emotional email marketing must make consumer realize and connect with idea that can make their lives better, happier and more fulfilled. It should be well-placed with joke or clever graphic that can bring a smile to the readers and brighten their day. 6. Provide link and call to Action: Email that get readers engagement and connection must provide genuine link to readers. If there’s no clicks simply mean no customers. Therefore, make your links obvious to give readers opportunity to interact and make strong call to action. 7. Make it Easy to unsubscribe or Remove: Email marketing need to be friendly to give option for readers to have a choice of chances whether to continue receiving email, or opt-out by cutting off the conversation by removing their name from receiving the email in future. Hopefully when you reconsider and follow this simple step, will enable you to start creating an effective emotional email marketing campaign that gets result you need. Kindly leave your feedback if you find this post interesting.